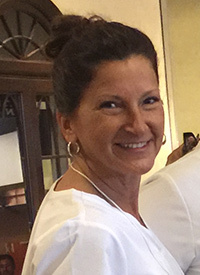 Sharon Mitchell, RN, from the Wilkes Barre/Scranton area of Pennsylvania, has been a nurse for 26 years, having worked in oncology in inpatient, outpatient, and clinical research capacities. She recently returned to the bedside and was disappointed to find that she couldn’t be the nurse she wanted to be anymore. Nurses were being assigned more patients, asked to do more with less, and as she watched her colleagues burn out quickly, she began to contemplate leaving the profession. Mitchell added that many nurses are leaving the profession, including young nurses, after feeling burnt out from the fast pace and expectations that they should be able to handle the workload. Nurses often feel ashamed that they can’t keep up; but they are afraid to rock the boat out of fear of being targeted or losing their jobs. “We like to be busy, but when it affects patient safety, we can’t continue to let this happen and complain. We need to do something about it,” Mitchell said. Mitchell was asked to be on the planning committee for Pennsylvania’s first-ever Nurses Safe Staffing Summit in Harrisburg, Pennsylvania’s capitol. The event was led by Nurses of PA, which describes itself as a non-profit, non-partisan movement of union and non-union nurses who are leading the charge for safe staffing laws. At the Summit, held July 30-31, over 100 nurses from Pennsylvania dressed in scrubs and rushed over 10,000 petitions by ambulance into the state capitol, carrying them on gurneys, in support of House Bill 1500 and Senate Bill 214, entitled, "An Act Amending the Act of July 19, 1979 (P.L.130, No.48), Known as the Health Care Facilities Act, Providing for Hospital Patient Protection.” This legislation would limit the number of patients a nurse can be asked to care for at one time. The bills have support from numerous legislators and Pennsylvania Governor Tom Wolf. “Politicians don’t understand how critical this matter is. Patients are receiving cytotoxic drugs with the potential for reactions that can mean life or death, and nurses can’t get there fast enough,” Mitchell said. It doesn’t require much time to get involved. Writing letters and making phone calls to legislators can be done in minutes, for example. There are many things busy nurses can do to protect their patients, and it only takes a little effort to find that it’s encouraging, inspiring, and empowering. Mitchell’s has one message to other oncology nurses who feel their patient loads are too heavy or unsafe: Become involved. 1. 2012/13 Pulse of PA Registered Nurse Workforce. Bureau of Health Planning, Division of Plan Development. PA Department of Health website. health.pa.gov/topics/Documents/Programs/Workforce%20Reports/2012-2013%20Pulse%20of%20PA%20Registered%20Nurse%20Workforce%20Report%20Final.pdf. Accessed August 2, 2018.